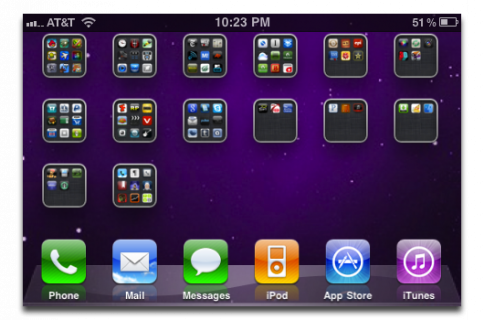 Although I’m not a developer, I have been able to play around extensively with iOS 4.2 on my iPad. Let me just reiterate the sentiments that it is indeed worth the hype. With new features like AirPlay, it’s understandable that that ability to switch your fonts in the Notes app is playing second fiddle to all of the other enhancements. 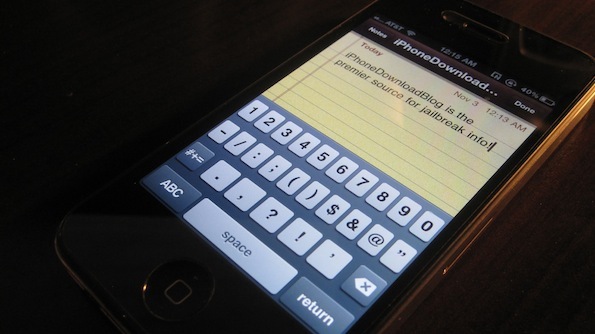 While the beta version of iOS 4.2 on my iPad only featured Marker Felt, Helvetica, and Chalkboard fonts, NotesFont features over a dozen different fonts. 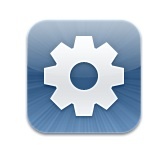 These fonts are easily accessible by means of the Settings app. Among the list of fonts are of course Marker Felt, and Helvetica, along with Arial, Courier, and Verdana, among others. Strangely, there is no Chalkboard font to be found. Along with the nice selection of fonts, NotesFont also features an option to adjust the text size of both the titles and the contents of your notes. Just be careful not to do what I did and put some huge number in your size setting, or you could yield some nasty results. Perhaps the developer should consider implementing a slider to limit the text size to a legible value! Speaking of value, at $0.99 cents on the Cydia store, NotesFont offers a considerable amount if you’re someone who often utilizes the stock Notes app. Not only does it offer custom fonts for the Notes app before Apple does, it brings significantly more fonts to the table while doing so. What about you? 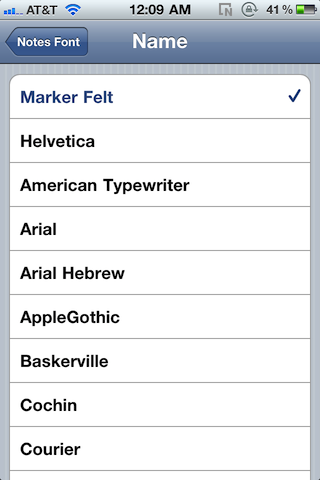 Are you sick and tired of the Marker Felt font as well?